Ronit Barrett is a partner at Eimer Stahl LLP. She focuses her practice on traditional and performance-based formula ratemaking and she recently served as co-lead counsel in the annual formula rate case for Illinois’ largest electric utility. Ronit also has substantial experience with competitive market development, rule-makings, audits, customer complaints, and certificate of public convenience and necessity and certificate of good standing proceedings before the Illinois Commerce Commission, as well as appeals related to a wide variety of Commission proceedings. In addition to utility regulatory matters, Ronit’s experience includes commercial and contractual disputes; defending whistleblower actions; defending consumer fraud and unfair business practice cases; defending corporations in multidistrict litigation involving the health and environmental effects of gasoline additives; and bankruptcy preference and adversary actions. 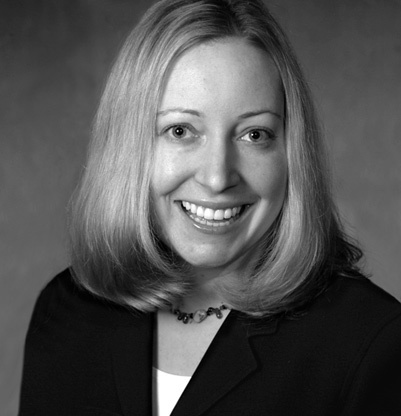 Before joining Eimer Stahl, she was an associate with the San Diego office of Gray Cary, now known as DLA Piper. Ronit has served as counsel to Commonwealth Edison Company in every annual Formula Rate Case proceeding before the Illinois Commerce Commission since the adoption of the Energy Infrastructure and Modernization Act ("EIMA") in 2011. See Illinois Commerce Commission Docket Nos. 11-0721, 12-0321, 13-0318,14-0312, 15-0287, and 16-0259. The most recently completed case (2016) involved a $2.6 billion revenue requirement for 2017 and recovery of approximately $72 million in costs from the prior year. Prior to the adoption of performance-based ratemaking under EIMA, Ronit was counsel to Commonwealth Edison Company in its traditional Article IX rate cases in 2007 and 2010. See Illinois Commerce Commission Docket Nos. 07-0566 and 10-0467. These cases involved revenue requirements of $1.9 billion and $2.1 billion, respectively. She successfully obtained summary judgment in favor of a public utility against Illinois Whistleblower Reward and Protection Act claims regarding the determination of its avoided cost rates under the Public Utility Regulatory Policies Act and the Illinois Public Utilities Act. See The People of the State of Illinois, ex rel. Leon A. Greenblatt III v. Commonwealth Edison Co., Circuit Court of Cook County, Illinois Case No. 07 L 004293. Ronit serves as counsel to owners, operators and other stakeholders of common carrier pipelines in certificate of good standing proceedings, including whether Commission approval is required for certain transactions. See, e.g., Illinois Commerce Commission Docket Nos. 04-0433 and 13-0602. She has represented utilities in appeals ranging from rate design issues and transmission line siting to customer complaints. See, e.g., The Coalition to Request Equitable Allocation of Costs Together v. Commonwealth Edison Co., et al., Illinois Appellate Docket No. 2-14-0202. Ronit was recognized by Chambers and Partners for Energy and Natural Resources: Regulatory, and by Leading Lawyers for her energy and public utilities work. Ronit was also selected as a 2018 Best Lawyer for Energy Regulatory Law by U.S. News & World Report. She serves on the Board of Directors of Christopher House, is active in the Chicago Bar Foundation’s annual Investing in Justice Campaign, and is a past member of the Board of Directors of the Chicago Lawyers’ Committee for Civil Rights Under Law, Inc.
Ronit represents public utilities in reconciliation proceedings associated with Purchase of Receivables Programs. See Illinois Commerce Commission Docket No. 14-0313. Ronit has represented utilities in rulemaking proceedings regarding rate case expenses and money pool agreements. See Illinois Commerce Commission Docket Nos. 11-0711 and 03-0449. Ronit is counsel to an Illinois public utility in the Illinois Commerce Commission’s investigation of supply rate subsidies for non-residential space heat customers and lighting customers. See Illinois Commerce Commission Docket No.14-0385. She represented a utility in the original cost audit of its distribution plant. See Illinois Commerce Commission Docket No. 05-0597, Interim Order (April 5, 2006). Ronit represents energy suppliers and utilities in customer complaint proceedings before the Illinois Commerce Commission. See, e.g., Friedberg v. Ambit Illinois LLC, Illinois Commerce Commission Docket No. 15-0339; and Malibu Condominium Association v. Commonwealth Edison Co., Illinois Commerce Commission Docket No. 08-0401. She was counsel to two major cogeneration facilities in the Edison Mission Energy Chapter 11 proceeding in the Northern District of Illinois and related adversary actions. See In re Edison Mission Energy, et al., Case Nos. 12-bk-49219 and 12-ap-01954 (U.S. Bankruptcy Court, Northern District of Illinois). Ronit has represented CITGO in numerous bankruptcy preference actions. See Acme Petroleum and Fuel Co., et al. v. CITGO Petroleum Corp., Case No. 02-34041 (U.S. Bankruptcy Court, Western District of North Carolina); Bethlehem Steel Corp. v. CITGO Petroleum Corp., Case No. 03-09260 (U.S. Bankruptcy Court, Southern District of New York); In Re Consolidated Freightways Corp. of Delaware, et al. v. CITGO Petroleum Corp., Case No. 03-01984 (U.S. Bankruptcy Court, Central District of California); Convenience USA, Inc. v. CITGO Petroleum Corp., Case No. 03-9073 (U.S. Bankruptcy Court, Middle District of North Carolina); The Driggs Corp. v. CITGO Asphalt Refining Co., Case No. 02-1353 (U.S. Bankruptcy Court, District of Maryland, Greenbelt Division); Fleming Companies, Inc. v. CITGO Petroleum Corp., Case No. 04-51407 (U.S. Bankruptcy Court, District of Delaware); One Stop Auto Parts, Inc. v. CITGO Petroleum Corp., Case No. 01-506 (U.S. Bankruptcy Court, Middle District of Florida, Tampa Division); Quality Stores, Inc. v. CITGO Petroleum Corp., Case No. 01-10662 (U.S. Bankruptcy Court, Western District of Michigan, Southern Division); Safety-Kleen Creditor Trust v. CITGO Petroleum Corp., Case No. 02-03730 (U.S. Bankruptcy Court, District of Delaware); Switzer Petroleum Products, Inc. v. CITGO Petroleum Corp., Case No. 05-03840 (U.S. Bankruptcy Court, Northern District of Texas); US Flow Corp. v. CITGO Petroleum Corp., Case No. 05-80195 (U.S. Bankruptcy Court, Western District of Michigan); Wickes Inc. v. CITGO Petroleum Corp., Case No. 06-00285 (U.S. Bankruptcy Court, Northern District of Illinois). She represented an oil refiner in multidistrict litigation pending in the Southern District of New York (which at one time was comprised of more than 100 cases) concerning alleged contamination of groundwater by a gasoline blending agent known as MTBE.